Trigger and Royce arrived in Mackay earlier in the week. KEEP an eye out for a former Australian soldier and his four legged friend Trigger in Rockhampton today. 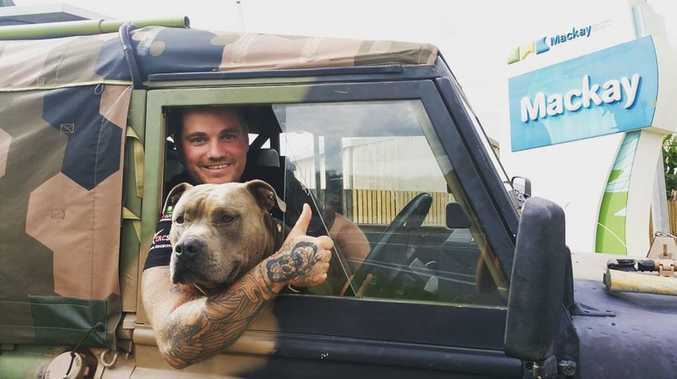 Royce "Rolls" Hardman, a former Australian infantry soldier and Afghanistan Veteran, has made it his duty to travel around the country with his dog, Trigger, in a 1988 ex Army vehicle to raise awareness for PTSD sufferers and their families. According to Royce's tracking map, he is expected to be in the area today as he makes his way down south from Mackay. You can follow his journey on his Facebook page: Trigger's Big Trek for PTSD.